PORTLAND - Regence BlueCross BlueShield of Oregon is pleased to welcome Vanessa Lyons to its sales team as Manager of National Accounts, Labor and Trust. Lyons has more than 20 years of experience within benefits sales and management, a career that originally began at Regence. 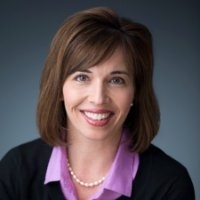 She rejoins the Regence sales team from Wells Fargo Insurance, where she served as a senior vice president and employee benefits consultant for their Portland office. Lyons has also served as a lead consultant and supervisor of account managers at Mercer. Lyons will be based in Regence’s Portland office. She replaces Laurel Klaus who recently retired.